Everyone’s favorite beagle and his fashionista sister dropped by Comic-Con to debut their new fashion line: Snoopy & Belle in Fashion. The line was introduced at Belle’s Boutique pop-up shop in the Gaslamp District. Adorable accessories, tote bags, and pastel colored shirts inspired by the original collection lined the walls. It’s cute couture. Snoopy & Belle’s collection is available at Target this fall. 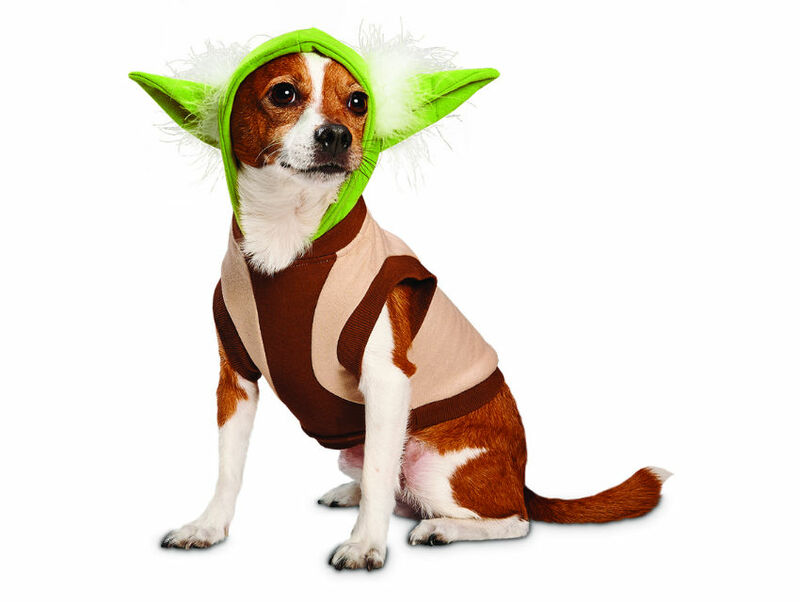 PETCO just introduced a new line of Star Wars inspired costumes and toys for furry companions. The Star Wars Pet Fans Collection boasts Star Wars-themed costumes, apparel, headpieces, and chew toys based on the iconic characters from the movies. The collection is available at PETCO. Sony’s Project Morpheus, a virtual reality system streamed through a digital headset which connects to Playstation 4, allows users to fully submerge themselves in a virtual world with the help of the Playstation’s motion-tracking, 3-D audio technology, and high resolution graphics. Project Morpheus debuted across the street from SDCC at Nerd HQ, home of the New Children’s Museum, to thousands of lucky fans who lined up for a chance to demo the immersive experience. While an exact release date has not yet been announced, expect it sometime in 2016. Insight Editions and Sideshow Collectibles launched a new line that combines quality art and prop books with authentic memorabilia and action figures. While some of the popular titles from this collection like Alien: The Weyland-Yutani Report and Harry Potter: The Monster Book of Monsters Official Film Prop Replica are already sold online, the Game of Thrones: Astrolabe Collector’s Edition was only available for purchase at the booth, but will soon be released to the general public. Making its debut at BBC America’s booth, the Sonic Screwdriver Remote Control is inspired by the twelfth doctor’s main gadget in BBC’s Doctor Who. Only a limited supply was available at Comic-Con. The rest of the Sonic Screwdrivers will be released later this summer, each with their own signed certificate of authenticity. This unique collectible remote control allows users to control all of their home entertainment equipment Doctor Who-style. This hilariously inappropriate political sticker book, written by author and Cartoon Network show writer Patrick Baker, has more detailed information about every president and all the “dickery” committed in the White House than anyone really needs or wants. Still, it’s a must read for the satirically inclined. Prepare yourself for the zombie apocalypse (or the lines at Comic-Con) with Factory Entertainment’s Zombie SWAT collection. Realistic enough to be used as props, yet safe enough for anyone to play with, these soft foam weapons can help any zombie hunter battle hoards of the walking dead. Bonus feature? The amazingly gruesome sound effects the weapons emit when brandished. Indie toy company Warpo debuted their Legends of Cthulhu Collector Club Kit in the wake of a successful kickstarter campaign last year, which introduced the world to the old-school Legends of Cthulhu line. Packaged in a Necronomicon collector box, the kit includes a replica ring, pins, stickers, and other merchandise that fans of H.P. Lovecraft are sure to love. The fifth installment of the popular “toy-to-life” role-playing video game series Skylanders, Skylanders Superchargers has been long awaited. It’s the first game in the series to incorporate vehicles that can navigate sky, earth, and sea. The game is set to be released this September. The new Force Trainer goes a step further than the original 2009 Star Wars Force Trainer, using power of the mind to build light sabers, pilot a ship, and move various holograms. At Uncle Milton’s booth, there were free demos for Con attendees in which future Jedis donned brainwave sensitive headpieces allowing them to control holograms by concentrating. The Trainer will be available worldwide in the fall, just in time for the new Star Wars movie.